Last time, I mentioned that the gap between Captain America’s WW2 adventures and his modern recovery from the Arctic ice is ever-widening. Beyond being problematic for the believability of Cap functioning in the present day, this also presents other problems. 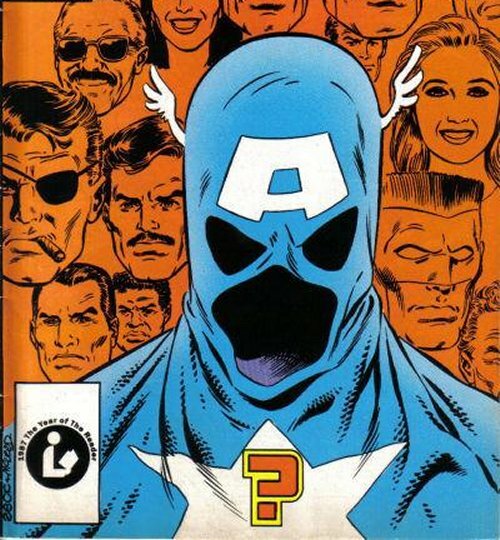 The whole notion of Captain America being frozen for two decades came as a retcon. It’s first mentioned in the story in which he’s reintroduced, Avengers #4, published in 1964. Most of Marvel’s readership at the time probably wasn’t reading comics back in the 1940s, so may have been surprised to find no trace of Cap’s fate in his original comic series. No, Captain America suffered a worse fate than being frozen in the ice in 1945: cancellation. 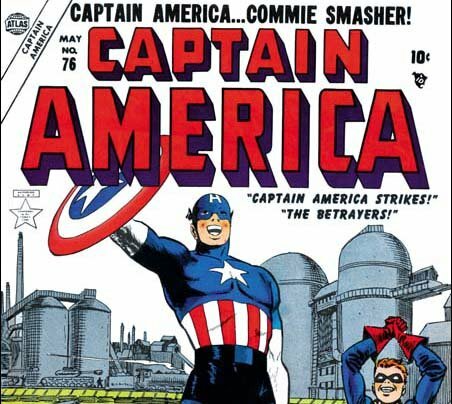 Captain America Comics ran til 1949 before falling victim to the post-war collapse in super-hero comics. In fact, the last two issues were called Captain America’s Weird Tales and he wasn’t even in the last one. There was a brief attempt by Marvel, then known as Atlas, to revive their super-heroes (Cap, Namor and the Human Torch) in the mid-50s. 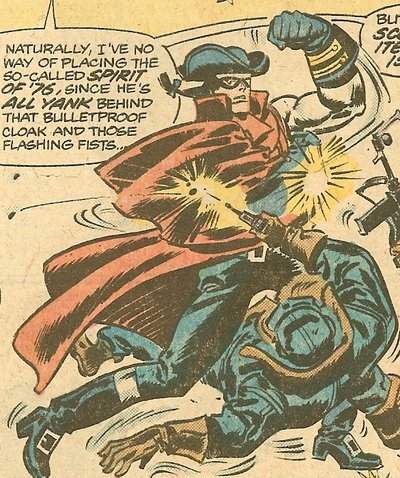 With the Nazis no longer prevalent, Cap played into the Red Scare era and became Captain America: Commie Smasher! It wasn’t successful and after a year he lay dormant until Avengers. The obvious course of action to take with these further exploits of Captain America was to ignore them, which is what Stan Lee did. Trouble came a few years later when Roy Thomas, a long time comics reader, gradually took the reigns of Marvel. He decided to make continued references to other Golden Age characters and stories, some of which relied on Captain America having been around, but, as Stan Lee had established, he really wasn’t. He had almost become Schroedinger’s Captain. Technically he’s both dead AND alive in there. The solution to this problem? Replacement Captain Americas! He wants to show you HIS Patriot. Burnside was a PhD student, patriot, Captain America fan and Communist hater. So naturally this all came together and prompted him to discover secret Nazi files that revealed to him the identity of Steve Rogers and the formula of the Super-Soldier serum used to give him powers. So Burnside did what anyone else clearly would have done in his place and legally changed his name to Steve Rogers, got extensive plastic surgery and used the super-solider serum on himself and a kid called Jack Monroe who wanted to be Bucky. 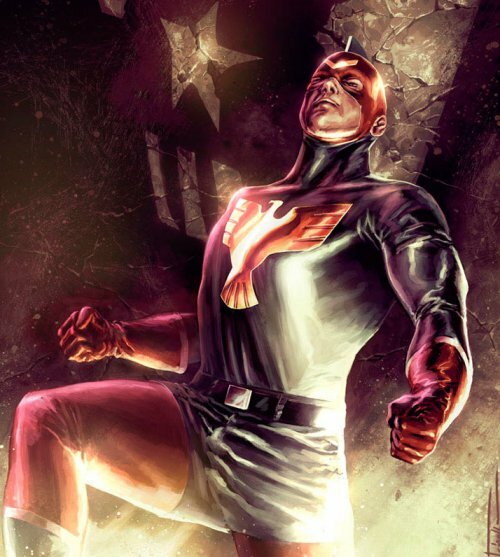 Unfortunately all this Commie Smashing didn’t quite go to plan (even with a Communist imposter Red Skull handy to fight against) and it turned out that the knock off Super Soldier serum was slowly turning Burnside and Monroe crazy. After they start going all violently Fox News on people, the government stepped in and put them in suspended animation until they could find a cure. Which, of course, they didn’t. Burnside got revived anyway and was brainwashed into being a neo-Nazi and then later started posing as the real Steve Rogers after his most recent ‘death’, leading Totally Not The Tea-Party. I’ve grouped these guys together, because the first two don’t really count. 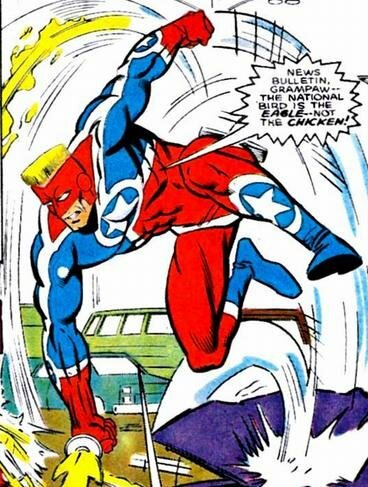 In the mid-70s, Steve Rogers gave up being Captain America (as a national symbol, Cap is prone to a lot of soul-searching as surrogate for the country as a whole) after discovering that Richard Nixon was a super-villain (seriously). Rogers became Nomad, the Man Without A Country, which left America as the country without a Captain, I suppose. Enter Russo, Turpin and Simons, three ordinary guys who all separately thought they could be Captain America. And were wrong. Russo, a professional baseball player, failed the basic task of being able to scale a wall and injured his arm, putting an end to his career as Captain America and presumably of playing baseball. Next up was Scar Turpin, who immediately passed the first hurdle of not losing a fight with a brick wall. Instead, he lost a fight to a street gang, who piled on him while he tried to stop a mugging. Scar wisely called it quits. Before you ask, yes, superhero fabric always rips like it’s burst from the inside. Roscoe faired a bit better, and even managed to gain the blessing and indestructible shield of Steve Rogers. He was taken under the wing of Cap’s then sidekick the Falcon. 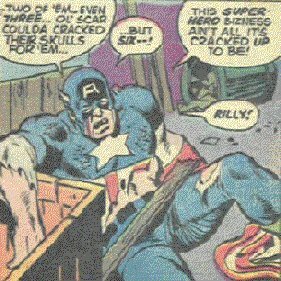 Unfortunately, while being decent in a fight, Roscoe wasn’t immune to be killed by the Red Skull, which is, again, a pretty big factor in being a decent Captain America. 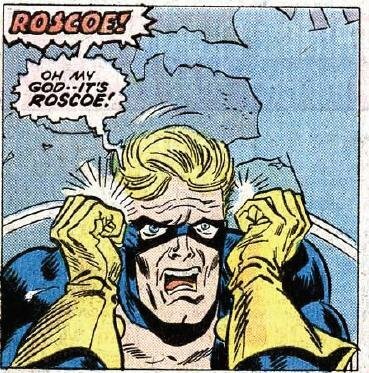 Of course Roscoe could just be the name of his favourite boy band. As I said, I don’t think Russo and Turpin really count as replacement Caps – they’re essentially just random guys who put on the costume and called themselves Captain America. If that’s the minimum criteria, this list would be thousands of names long. Not the most convenient news delivery service, but certainly the most interesting. 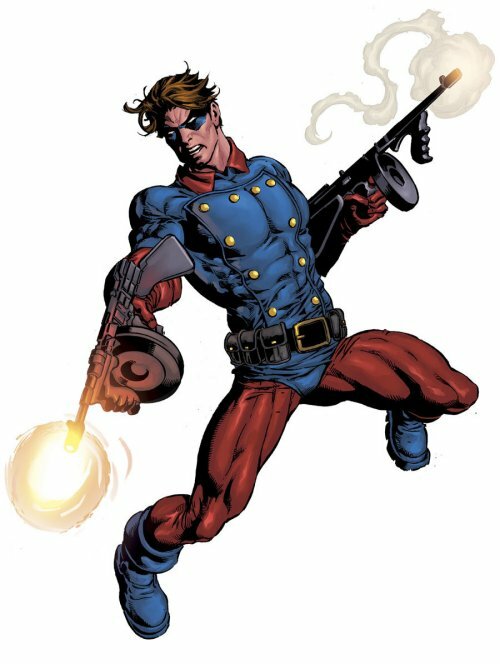 When Steve Rogers again gave up being Captain America (after pressure from the government) he was replaced by John Walker, formerly the Super-Patriot. Like many 80s characters, especially ones written by Mark Gruenwald, he has an utterly generic set of super-powers given to him by the shady Power Broker. 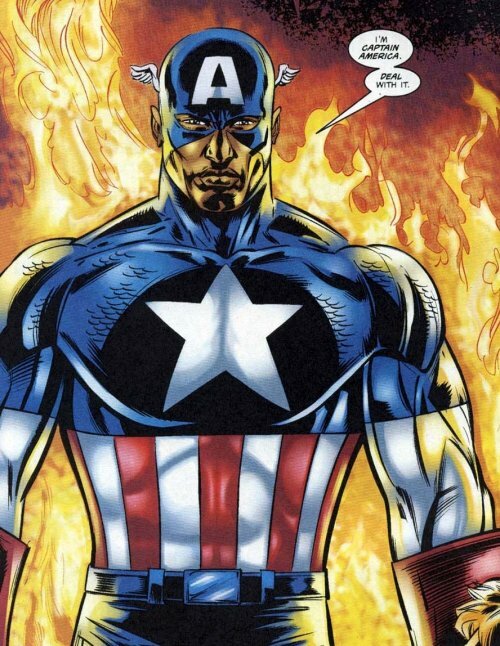 This was enough to make him a decent stand-in for Cap, though the government also gave him some proper training from the Taskmaster (a supervillain trainer) and a similarly powered sidekick (initially called Bucky until someone at Marvel realised that name has racist connotations for a black man and renamed him Battlestar). Walker relished being Cap because he’s rather right wing and thought of Rogers as being a pantywaist liberal type who wasn’t modern or man enough to be a real hero for the 80s. His extended tenure as Captain America (about a year in real time) proved him wrong though, as pretty much everyone turned against him, his parents got killed and the government got pissed off with him. 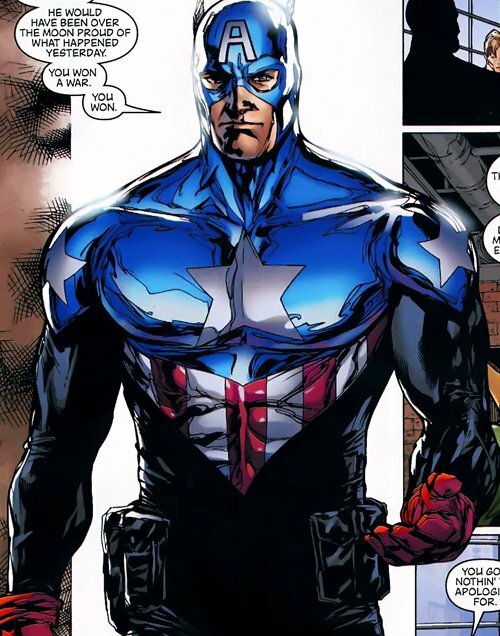 He eventually quit, so that Rogers could become Cap again and later took the black costume that Rogers wore while Walker was Cap, calling himself USAgent. 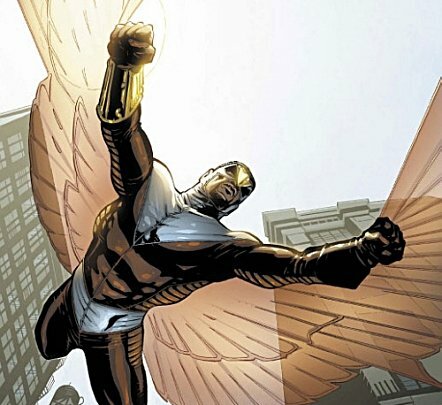 Sam Wilson is better known as the Falcon, former side-kick and long time ally to Captain America. 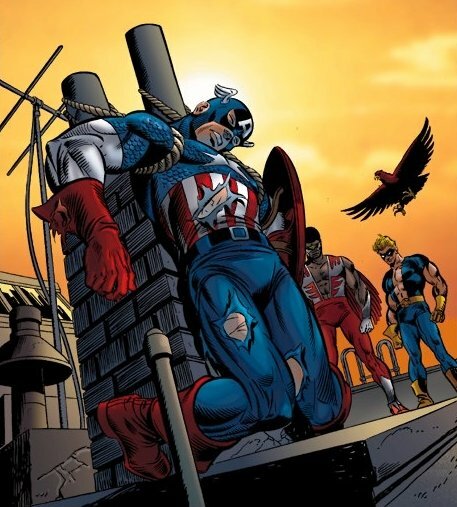 He replaced Steve Rogers as Cap for about one issue in 1999 before deciding he didn’t want to carry on. Presumably because he knew he’d just get replaced again in a few issues time anyway and wanted to cut out the prolonged speculation. Or, you know, just wait twenty minutes. When Steve Rogers was killed off in 2007, totes for realsies this time!, he was replaced by his original sidekick and former Soviet assassin James Buchanan ‘Bucky’ Barnes. 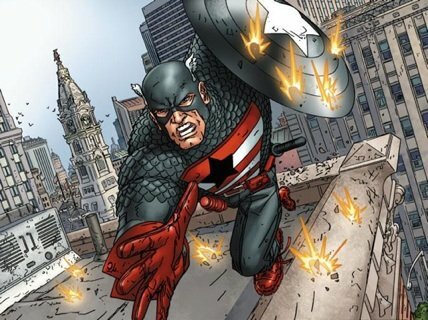 There were many obstacles to Bucky becoming Captain America – the shield was being held by SHIELD, he was an outlaw unregistered hero at the time and, well, there was the whole Soviet assassin Winter Soldier thing, which hadn’t gone down well with many people. 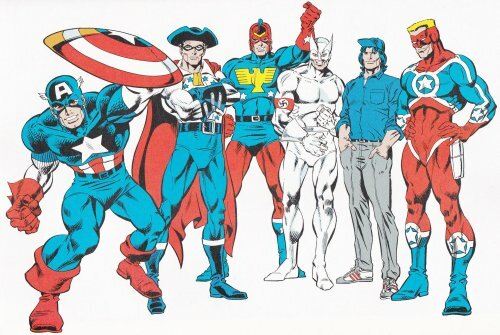 Nonetheless, Bucky overcame adversity and claimed the mantle of Cap, immediately replacing Steve’s costume with a garish, over-shiny new Alex Ross design, making him the first replacement Captain America that avoided coming across like a cosplayer. I’m sorry, I wasn’t listening to anything you were saying because of the glare off your pectorals. Bucky doesn’t really have any super-powers, but got by as Captain America with the help of a gun. This was kind of a big deal for some readers who evidently had forgotten that Captain America & Bucky started in World War II, which happened to involve quite a few guns. He also has a bionic arm, which helps out, I suppose. 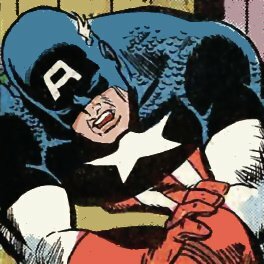 Even after Steve Rogers was revealed to, shock, not be properly dead and returned to life, he let Bucky carry on as Captain America, possibly just because he felt a bit awkward about asking for his stuff back, especially after Bucky had gone to all the trouble of making a new costume. Steve became Commander Rogers, sort of leader of SHIELD until Bucky decided to fake his own death and go back to being the Winter Soldier, because there was a film coming out damn it and movie synergy is more important than anything! So there you have, a guide to (most) of the other people who have, at one time or another, called themselves Captain America. Heroes one and all.